Ryan Hardy, chef at the Little Nell in Aspen, made this elegant dish at a sunny country brunch he threw at his ranch in western Colorado. Combi ne 2 eggs, one quarter cup milk, salt and freshly ground black pepper to taste. Heat a crêpe pan or small non-stick skillet. Rub the pan with a little butter and add one quarter cup of the egg mixture. Cook over a medium low heat, until the eggs set. You don’t need to flip the omelet overit’s very soft and tender. Slide onto a warm platter, fold in quarters and continue with the remaining egg mixture. Dress with butter. 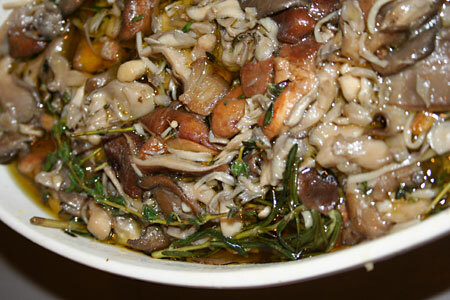 Serve with pickled mushrooms.